2016. There was laughter and yelling, joy, heartache, adventure, stress, hard work, kisses, hugs, tears, and a whole lot of love. There were sleepless nights in hospital beds, and magical trips spent with loved ones and friends. The good days far outweighed the bad, and time marched on as it always does. If you know me via social media, this holiday letter may seem redundant. But, any chance I get to share our story of hope, perseverance, unique needs and the raw, hard and sometimes beautiful reality of disability and disease- offers me the opportunity to heal, and hopefully make someone out there feel a little less isolated. So here goes again… The 2016 Beeson holiday letter. The year started off strong! 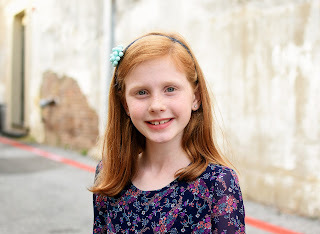 The middles (Kaylin, 8 and Presley, 6) were thriving in school. Presley was making us laugh every single day, finishing up her last year of preschool, (how is she in kindergarten already), Kaylin was making friends, playing volleyball and acing her spelling tests. Avery was steady and surrounded by her loving teachers, therapists and caregiver- all who have known and loved her for several years, and Pax was astonishing all of us with his miraculous recovery and rebound from his brain surgery in December 2015 where his neurosurgeon placed a VP shunt. Shortly after his second birthday in January, he began walking and talking in short phrases. We were on cloud nine. Those days were so blissful. Then came some harder days. At the very end of February we received a letter from a geneticist that rocked me to my core. Avery (10), Paxton (2), Bryan and I had all had blood drawn in October for Whole Exome Sequence testing to determine any new genetic abnormalities that might explain their (Aves and Pax’) delays/disabilities. New advances were being made all the time, and though all previous genetic testing for Avery yielded no meaningful results, this time was different. It was, quite frankly, a relief to finally have answers for Avery’s condition. Avery has a mutation on the SHANK3 gene on her 22nd chromosome causing a condition called Phelan-McDermid Syndrome, or 22q13. 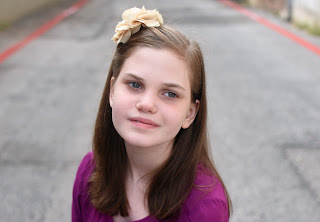 She is still followed by Rett Syndrome specialists since she fits the clinical diagnosis criteria, but now she is also seeing researchers, neurologists and many other specialists specific to her new diagnosis. We are so hopeful and prayerful that time, precious time, will bring forth new treatments for her struggle. She is such a delight in so many ways, but is so limited in her ability to function independently at all. She still needs assistance in every single part of her day from diapering, feeding, walking, hand washing, any self care etc. She is our silent angel. Also in the letter (the part that quite literally brought me to my knees) was the information that Paxton also has a genetic mutation. His genetic mutation is on the 2nd chromosome, and is associated with an intellectual disability, seizures, which we also got to experience with him (first time) and Avery (as usual) this year, overgrowth, risk of cancers/leukemia specifically, as well as possible heart and brain abnormalities. His condition is called Tatton-Brown Rahman Syndrome, or DMNT3A. This was a BIG blow. Our kids each have a very (VERY) rare, and different, pathogenic genetic mutation- and neither was was “inherited.” What are the odds. It all just seemed like crazy, bad luck. My heart was broken that day and in the few days that followed. Just like we alway do, we picked up the pieces and began to learn. Time was spent researching, seeking out doctors/specialists, trying to help our two medical mysteries as much as we could, while still trying our best to find regular, everyday joy with all four of our little lights. This family tries hard not to leave out our “typical” little blessings. Presley and Kaylin were enjoying their individual activities, as well as gaining interest in participating in the therapies that help Avery and Pax. They love to hear from Avery through her communication device on her iPad, and to help Paxton gain speed in his motor and cognitive abilities. Both middles were happy and healthy, thank God. In the late winter and spring, Paxton was sick (ALL THE TIME) and we added a few new diagnoses to his growing list. Asthma, Eosinophilic Esophagitis- all of which landed us in the hospital several times for pneumonia, fevers, vomiting. Our beloved nanny took an ambulance ride with Pax following his first full blown seizure- and we were left scrambling as to why he couldn’t seem to get well. On a developmental level, however, that warrior baby boy continued to thrive. And we were so thankful for that. Gratitude is the glue that holds my sanity together. In July, we were lucky enough to get to spend a few precious weeks in Georgia. Soaking up the sun with family and loved ones- enjoying a bit of normalcy in our less that “normal” seeming lives. The end of summer brought new hope as Paxton started school at St. Phillips Episcopal, our favorite preschool, Presley and Kaylin were in kinder and third at the same school, and Avery was back with her tribe of supporters at her school. Avery’s interest in drinking enough fluids was waning at this time, and in October, she had a G-tube placed in her abdomen to improve nutrition/hydration. She glided through that like the champion that she is, always reminding us of her strength and grace. The button on her belly has actually been a blessing. It is nice not to worry so much about her intake, as now we can control it when needed. In November we learned that Paxton has a primary immune disorder (another new diagnosis) and will need IVIG transfusions monthly for the foreseeable future. 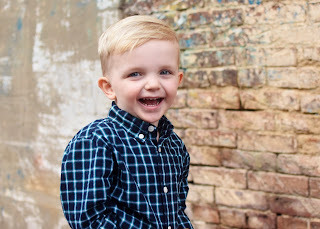 We are battling insurance now to get that started- and are trying to wrap our brains around yet another diagnosis we weren’t expecting and that no kid should have to battle. 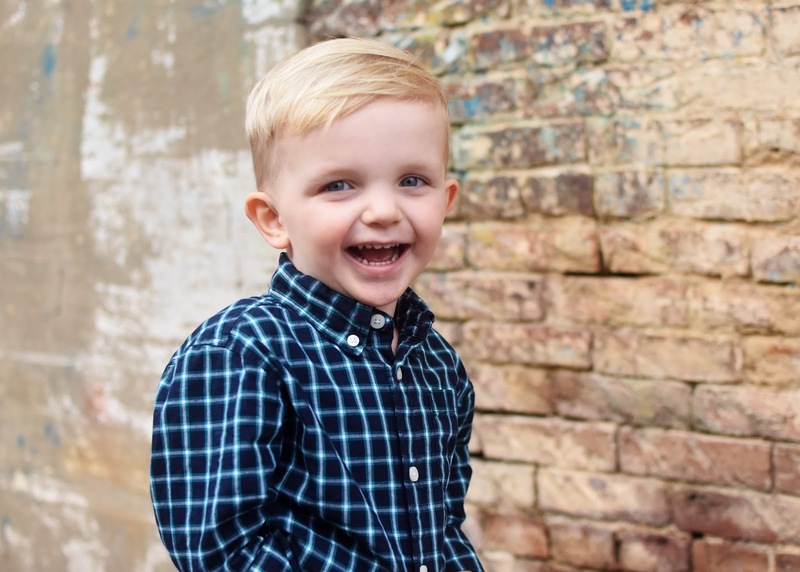 His immunologist did some research on Paxton’s specific genetic mutation, and believes that the genes next to his mutated genes are responsible for his lymphopenia, or lack of T-cells. On a lighter note, Bryan and I both love our jobs, and even had a few quick getaways to Vegas and NYC. And we still regularly enjoy date nights about once a week. 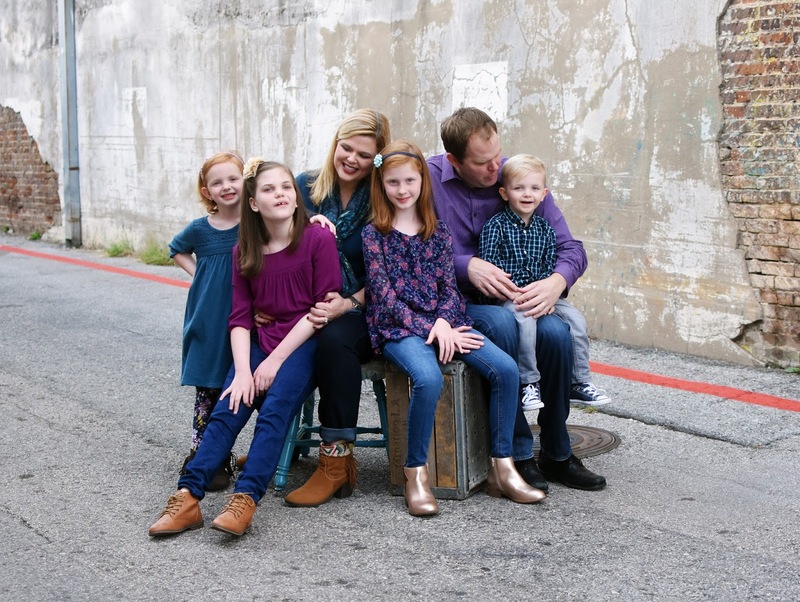 We could NOT do any of this without a tremendous commitment of help- and we are beyond grateful that our kids are so loved and cared for by the amazing April. 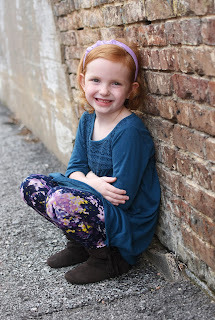 She makes our lives so much better- and brings lots of laughter, organization and creativity in to our home every day. Speaking of support, I couldn’t possibly write about this year without mention of my mom. If you know my mom then you know she works hard, loves fiercely, and is about the best caregiver of physical and emotional support out there. Though she lives in Atlanta, we have been so so lucky to have her come visit and help us frequently (about every 6 weeks.) She gets our “hard” and she jumps right in to the chaos. We are extraordinarily blessed to have her, and countless other family members and friends who love, support and cherish us. I know it is cliche, but it really does “take a village.” On our bumpy and windy road we have been offered such profound kindness and grace. No word of support goes unnoticed or unappreciated. Truly. Here’s to being connected to you, our friends and family. Though we many not see you often, you matter to us. Nothing is ever lost to the heart, which is why we can pick up where we left off the next time we’re together and know our feelings for each other have not changed even though our hair continues to grey and our faces have a few more lines. May your new year be blessed with connections that fill your life with joy, gratitude, peace, love and laughter. May your road be full of wonder and magic, may you find enriching time with friends and family, and may all your Holiday wishes come true.